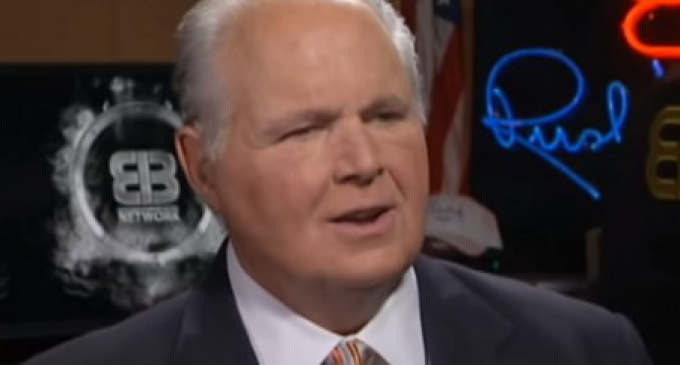 The United States and the entire Western civilization is burning through the wealth it has accumulated through generations by allowing big government to ransack our capital with socialist initiatives, according to conservative talk show host Rush Limbaugh. “I have this creeping little gnawing fear that courses through the deep, dark crevices of my brain every day that the greatness of this country, that the sustainability of the greatness and uniqueness of this country that stems to our very founding is coasting. In other words, we have built up a reservoir generation after generation after generation of people who were aware of how America came to be and why and had great reverence for that and respect for it,” Limbaugh said on his show Wednesday. Turn the page for Rush’s full commentary.